European cookware and cutlery as stylish as it is hard working. With just one cookware set ready for market, Raf Vanthoor signed the first BergHOFF contract in 1994. Since then, the line has grown into an international, award-winning kitchenware label known for thoughtful details and an upscale aesthetic. Each collection is developed from start to finish by an in-house team of enthusiastic designers and producers, making every piece a product of earnest passion and innovation. Bamboo Easily cook vegetables, dim sum, dumplings, or even seafood without losing any of the original flavor! Layered design allows you to steam different foods all at the same time. Weaved construction evenly spreads steam for the best results. The chopsticks are perfect for noodle dishes, sushi or dim sum, chopsticks are great go-to utensils! This Leo set includes all the gadgets you could want in your kitchen, a peeler, a juicer, a potato masher, a whisk, and a ginger grater. Many of the gadgets can be used as you see fit, their multipurpose design makes them perfect for those who lack storage space in their kitchens. The included serving bowls make a stylish statement on any counter or table. This grill pans body is made of enameled cast iron which will provide a steady and even heat distribution. The cast iron construction provides strong heat retention and no additional seasoning required. Ideal for use on any cooktop, including induction; for the best results use a low to medium heat. The square grill pan is an excellent choice for grilling meats, seafood or vegetables and requires little oil and no seasoning. This 8qt Pink Neo Cast oval casserole dish is made with a durable cast-iron construction, this cookware is sure to stand the test of time. The cast-iron provides steady and even heat distribution, resists stains, allowing for long-lasting use, versatile design is ideal for use on any stove top, including induction. This beautiful hammered copper cookware set is sure to be the focal point of your kitchen. With its stunning hammered design you will be glad to show this set off to all your friends and family. Set includes: 1 Qt sauce pan, 2 Qt sauce pan, 3 Qt sauce pan, 5.75 Qt Dutch oven, 8" deep skillet/fry pan and 9.5" deep skillet/ fry pan. Ouro's 11pc cookware for exceptional functionality and bold beauty. Featuring high-polish stainless steel body and rose gold handles with ergonomic handles, this line was designed for optimal durability and cooking versatility. Comes induction-ready and guarantees the finest culinary experience. Set includes: 6.25" covered sauce pan, 8" covered casserole, 10" covered stock pot, 10" covered deep skillet with helper handle, 8" fry pan, 10" fry pan, 10" steamer insert. This beautiful polished copper cookware set is sure to be the focal point of your kitchen. With its stunning hammered design you will be glad to show this set off to all your friends and family. Set includes: 1 Qt sauce pan, 2 Qt sauce pan, 3 Qt sauce pan, 5.75 Qt Dutch oven, 8" deep skillet/fry pan and 9.5" deep skillet/ fry pan. A perfectly cooled cocktail on a sunny summer afternoon or a scotch on the rocks to warm up in winter, this stainless steel ice bucket is the perfect accessory for your personal bar. The extra ABS inner container keeps the ice cubes frosty and at a constant temperature so that the ice stays frozen longer. Thanks to the tongs’ integrated storage in the bucket’s cover, you’ve got all the tools at hand to give your drink that finishing touch. 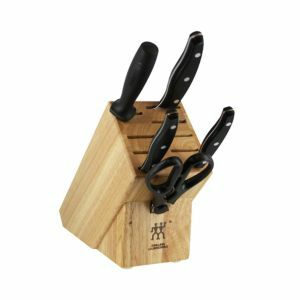 The Gold Series Titanium 4 Piece Scissors Set has ergonomically designed handles for safe handling with titanium gold- toned coated stainless steel for durability and easy cleaning in any kitchen. This small cutting board is the perfect helper for when you need to cut some carrots for a snack, chop onions, slice a tomato. Durable yet lightweight, the bamboo board is a great all-rounder and can also be used as a serving tray for cold meats or cheese. Got a small kitchen with limited storage space? 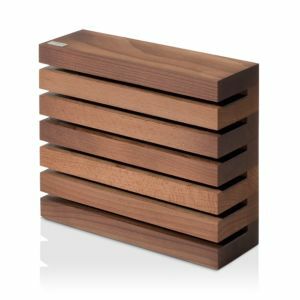 The Leo chopping board easily fits in your drawer and has an integrated loop for optional hanging storage. Want to prepare a healthy and delicious meal? Create an instant steam cooker by using this steamer insert with the Ron cast iron 9.5 inch stockpot! Simply add water in the casserole, place the steamer on top of the pot and add your vegetables, poultry or fish. All you need to do, is make sure the water level doesn’t reach the steamer’s base, bring the water to the boil and voilà, you’ve got a healthy, tasty dish! 11.5" White Tajine cover to fit the 11" cast iron deep skillet from our Ron collection. Turn the deep skillet into a Tajine, perfect for real slow cooking and all traditional dishes. Traditional cone shaped lid, allowing the steam to re-condense into water droplets which fall back onto the ingredients for tender, moist results. Elegant design for stove top and oven to table use. This covered stoneware bowl is a great versatile addition to the Ron series. Just add it to the Ron 9.5 in cast iron casserole to create a bain-marie. Prefect for preparing delicate warm sauces, melting chocolate or creating specialty dishes. Or why not just use it as a well-designed serving bowl with a cover to keep your food warm at the table? With its oval shape, the Ron cast iron casserole is perfect for pot roasting. Take your time to slow-cook a piece of beef or lamb, add your favorite vegetables and herbs and enjoy a savory meal! From the stovetop, to the oven and then to the table, this mint green casserole is suitable for all heat sources and keeps your food warm for a longer period of time. It’s both easy to use and easy to clean. The 9.75” Ceramic Covered Bowl offers varieties of cooking many different dishes. The 9.75” Steamer insert acts as a steamer to enjoy all the benefits of steamed fish, vegetables or poultry inside the stockpot. The 11.5 Tagine's conical shape makes a uniquely moist, hot cooking environment for the dish being cooked. The base is wide and shallow, and the tall lid fits snugly inside. As the food cooks, steam rises into the cone, condenses, and then trickles down the sides back into the dish. Dicing, slicing, chopping or cutting, it's all just that little bit more fun with the stylish Leo cutting board. The angled lip is a great assistant to help you transfer your cut or chopped ingredients to a plate or pan while the natural bamboo material is gentle on your knives. Lightweight and easy to clean. A classic dish such as a juicy chicken breast with seasonal veggies needs a classic pot. This cast iron skillet with superior heat retention is perfect for the job! The mint green exterior gives the skillet a contemporary look and feel while the cream colored enameled interior is very easy to clean. The condensation bumps on the lid collect the vapors and direct them back on the food, resulting in moist and savory meats, fish and poultry. A cast iron stockpot or Dutch oven is the corner piece of your fall and winter cooking, perfect for slow-cooking stews or soups and even baking bread. Thanks to its elegant shape and color the stockpot gives a stylish touch to your stovetop, oven and dinner table. It cleans up beautifully and is easy to transfer from one surface to another thanks to the wide handles. Handcrafted stoneware pie plate. Pieces may vary due to the handmade nature of each product. Oven safe to 400 degrees Fahrenheit. Dishwasher, freezer and microwave safe. Handcrafted stoneware lidded baker. Pieces may vary due to the handmade nature of each product. Oven safe to 400 degrees Fahrenheit. Dishwasher, freezer and microwave safe. Handcrafted stoneware dish. Pieces may vary due to the handmade nature of each product. Oven safe to 400 degrees Fahrenheit. Dishwasher, freezer and microwave safe. Handcrafted sauté pan with lid. Soapstone and copper. Retains and propagates heat. Healthy and natural. Italian design. Dishwasher safe. Soapstone and copper. Retains and propagates heat. Healthy and natural. Italian design. Dishwasher safe. Soapstone and copper. Retains and propagates heat. Healthy and natural. Italian design. Dishwasher safe. Handcrafted stewing pan with lid. Soapstone and copper. Retains and propagates heat. Healthy and natural. Italian design. Dishwasher safe. Handcrafted sauce pan with lid. Soapstone and copper. Retains and propagates heat. Healthy and natural. Italian design. Dishwasher safe. Make any meal a little more stylish with this Serv-In Tavola set from Ballarini, two petite saucepans perfect for creating and presenting individual portions. Provide personal service with style with this set of Serv-In Tavola mini Dutch ovens from Ballarini, perfect for presenting individual casseroles, side dishes or desserts. Seamlessly transition from oven to table with our Le Panier baking set. Tastefully trimmed in a variety of sizes for everyday use or effortless entertaining. Seamlessly transition from oven to table with our Berry & Thread baking set. Tastefully trimmed in a variety of sizes for everyday use or effortless entertaining. The just-right size for anything from sides to oatmeal, this 1.5-quart saucepan from Ballarini's Como collection is in reliable cold-forged aluminum with a performance non-stick coating. The ceramic exterior lends easy-cleaning style. Sear to perfection indoors with this grill pan set from Ballarini's Cookin' Italy collection. The durable cast-aluminum pan features a lasting non-stick coating for performance that can handle the heat. The ideal shape for boiling and then finishing your noodles, this Salta pasta pan from Ballarini gives you even heating along with lasting non-stick performance. Part of the Cookin' Italy collection, the set also includes a serving spoon. Hammered copper exterior. Bonded stainless steel interior to ensure durability and effortless cleanup. Copper-wrapped aluminum core for extraordinary heat conduction. Stainless steel lid with carrot- and pepper-decorated knob. Mirror-finished cast stainless steel handle with stamped copper signets Invest in the handcrafted beauty and utility of the Ruffoni Historia Décor 4-Piece Fondue Michelle Set, ideal for preparing and presenting gourmet-quality fondues, dessert sauces, and more. Rich hammered copper-colored designs shade this bowl set with versatile storing-to-serving style. Wusthof's Gourmet laser-cut stamped cutlery is masterfully crafted in Solingen, Germany for incredible precision and strength. 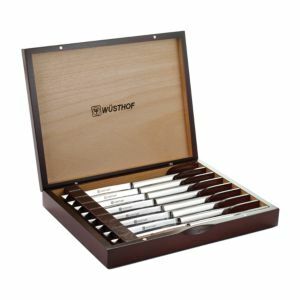 Masterfully crafted in the steel manufacturing capital of the world, Wusthof's Gourmet collection offers supreme precision and sharpness. 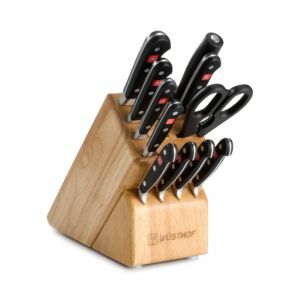 Set includes 3.5 Paring Knife, four 4.5 Steak Knives, 6 Utility Knife, 8 Carving Knife, 8 Bread Knife, 8 Cook's Knife, 9 Steel, Come-Apart Kitchen Shears and 13-Slot Block. 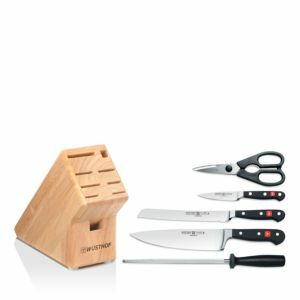 Slice and dice with professional flair and this versatile knife block, offering everything you need for seamless prep work. 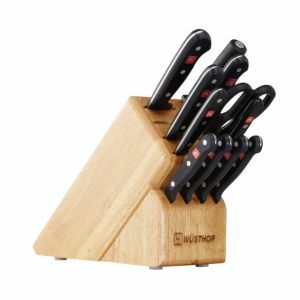 Beautifully crafted from high-quality magnets and beechwood, this elegant design holds up to six knives in modern style. 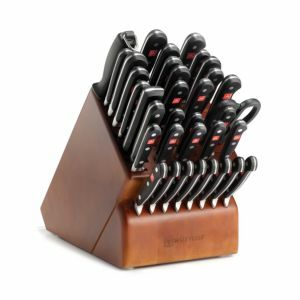 This timeless six-piece cutlery assortment from Zwilling J.a. 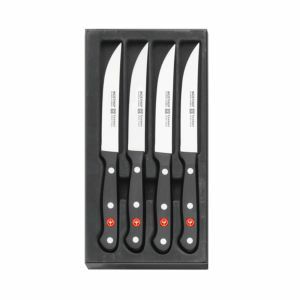 Henckels is an essential set for every home cook.